(P1) Star Wars fans are EAGERLY AWAITING the day of December 18th, when The Force Awakens will appear at movie theaters around the world, but what about on Christmas Day? How can the Force make its PRESENCE known while families are GATHERED around their Christmas tree? 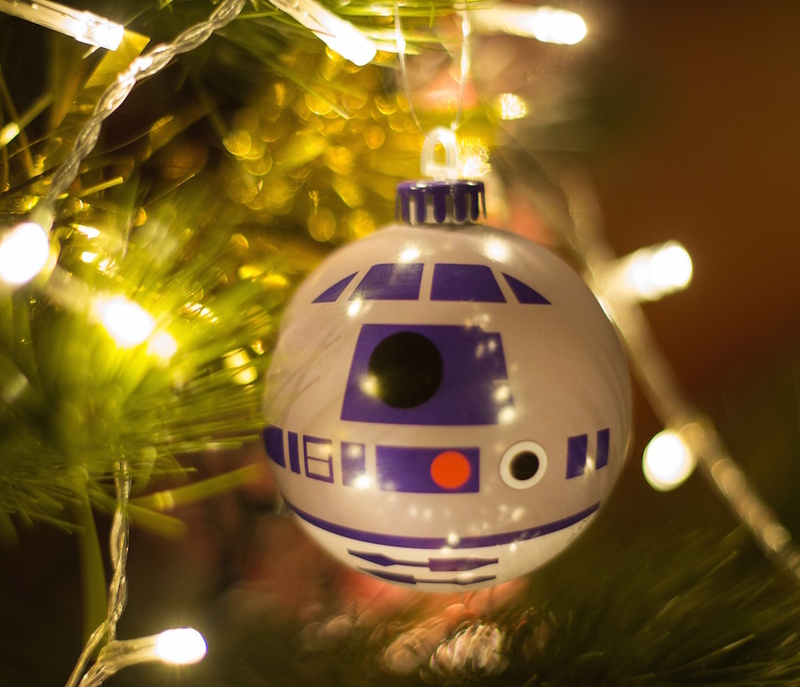 With new official Star Wars Christmas ORNAMENTS, that’s how. Four new sets have just been announced, each with six BAUBLES. (P2) Three of the sets are based on the original Star Wars trilogy, and each ornament is designed as one of the many ICONIC characters. The art style used has a very MINIMALIST and CARTOONY look, but each character is still INSTANTLY RECOGNIZABLE. (P3) First up is the A New Hope set, which has ornaments for R2-D2, C-3P0, Obi-Wan, Darth Vader, Luke Skywalker, and Princess Leia. (P4) The Empire Strikes Backset has Yoda, Chewbacca, Han Solo, a Snow Trooper, Boba Fett, and Lando. (P5) Next is the Return of the Jedi set, with Jabba the Hutt, Admiral Ackbar, Wicket, an Imperial Guard, Emperor Palpatine, and a Scout Trooper. (P6) There’s also a bonus Imperial Death Star set with five Stormtrooper ornaments and one for the iconic Death Star itself. (P7) The ornaments are all officially LICENSED from Disney, and each set is available now, priced at $31.99. Are you looking forward to the new “Star Wars” movie, or could you NOT CARE LESS? Is Christmas celebrated widely in your country? Have you ever decorated a holiday tree? What sort of ornaments did you use? Do you enjoy major holidays, or are you glad when they are over?